Is Vitamin D The New Cholesterol? Vitamin D has been getting quite a bit of publicity the last few years as researchers and physicians have (re)discovered how important it is in human health. 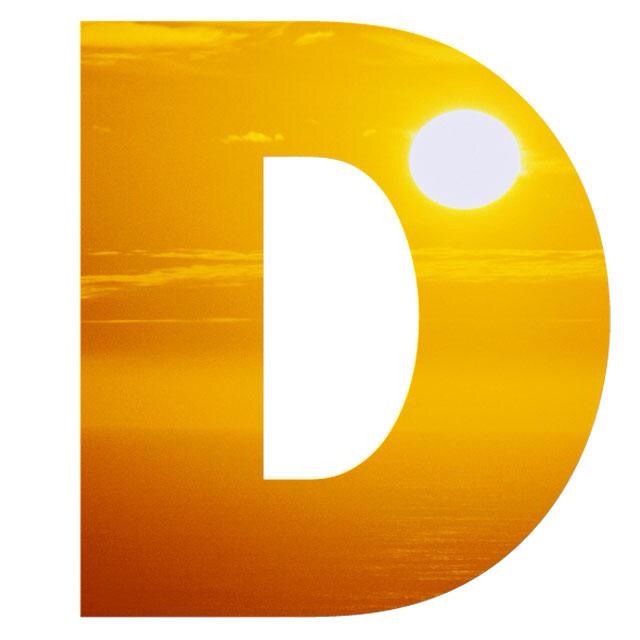 Affectionately known as the “sunshine vitamin”, D is actually a group of secosteroids (hormones) that plays a number of important roles in the body. Known mostly for creating healthy bones by assisting mineral absorption (calcium, iron, magnesium, phosphate and zinc) and bone formation, Vitamin D is also critical in modulating/supporting the immune system and promoting cell growth. As it is studied and researched more the connection with health and optimal function becomes more and more apparent. Subsequently, it is consistently found that low vitamin D levels are related to almost every disease studied. Note: We still don’t know if vitamin D levels are merely a symptom of health status. Most of the research deals with associations of health and vitamin D, which means cause and effect is tough to establish. There will be much more to come on vitamin D so stay tuned. With cholesterol and heart disease, we thought if we drive cholesterol numbers down that heart disease would decrease. That turned out to be very misguided as we were, in essence, blaming the handymen/firefighters for the damage they were trying to repair and thought that getting rid of them was the answer. We have since found heart disease is a much more complex process than we imagined, with cholesterol playing a very important role in the protection from and management of heart disease. It appears that a similar misunderstanding is starting to take place with vitamin D. I don’t question that it is an important nutrient we should be trying to get on a regular basis that support good health. What I question is the simplistic view that it causes/prevents disease. Instead, I think vitamin D is related to good health, meaning it doesn’t make you healthy and protect you from disease, I think healthy people have good vitamin D levels. In solid agreement with the findings of the original report, the majority of the findings concerning vitamin D, alone or in combination with calcium, on the health outcomes of interest were inconsistent. Associations observed in prospective cohort and nested case-control studies were inconsistent, or when consistent, were rarely supported by the results of randomized controlled trials. Clear dose-response relationships between intakes of vitamin D and health outcomes were rarely observed. Although a large number of new studies (and longer followups to older studies) were identified, particularly for cardiovascular outcomes, all-cause mortality, several types of cancer, and intermediate outcomes for bone health, no firm conclusions can be drawn. Studies identified for the current report suggest a possible U-shaped association between serum 25(OH)D concentrations and both all-cause mortality and hypertension and also suggest that the level of supplemental vitamin D and calcium administered in the Women’s Health Initiative Calcium-Vitamin D Trial are not associated with an increased risk for cardiovascular disease or cancer among postmenopausal women who are not taking additional supplemental vitamin D and calcium. Studies suggest the method used to assay 25(OH)D may influence the outcomes of dose-response assessments. Beyond these observations, it is difficult to make any substantive statements on the basis of the available evidence concerning the association of either serum 25(OH)D concentration, vitamin D supplementation, calcium intake, or the combination of both nutrients, with the various health outcomes because most of the findings were inconsistent. The failure to find consistent evidence of treatment is why I feel that Vitamin D levels are a reflection of organism health, not the cause of health. Sounds quite a bit like cholesterol to me. What Do We Actually “Know” About Vitamin D? Not much is certain these days, although we are pretty confident it plays an important role in healthy function. It appears consistent that people with adequate but not high levels (35-55) are often healthier than those with low (<35) or extremely high levels (75+). We just don’t really know anything about causation or how D plays into the big picture however or even what “ideal” levels should be. Unfortunately I think it’s going to take some time for us to get a good handle on exactly what vitamin D is doing in the body and how we can effectively use it as a health management tool. Does giving someone with low vitamin D make them healthier? We don’t really know. It appears that might be the case to a small degree but not entirely. If someone is deficient due to lack of sun exposure then they might benefit from some extra D, though it appears that sunlight is a better medium to bring it into the body than pill form. If they are deficient for any other reason it seems very unlikely that supplementing does too much. Why? Once again, not terribly sure. Vitamin D is important to the body and health but it hasn’t been discovered how having it helps. Maybe simply getting fresh air and sunlight makes you healthier, which means your body regulates things better and shows better vitamin status, including D. Getting D from the sun in and of itself might not necessarily make you healthier, just like supplementing often doesn’t. It might help in some circumstances but we just haven’t figured it out yet. My dad was tested to have very low levels of vitamin D but I don’t think that’s what made him sick. I think his body wasn’t healthy enough to have normal levels (even if exposed to sunlight) and was either using it to deal with illness or his illness was preventing him from creating enough or using what he had. Getting sunlight or D supplements, which we tried, probably helped a bit but probably couldn’t solve the problem, which was deeper and more systemic. Unhealthy or compromised people might not be able to process vitamin D or may have conditions that are driving vitamin D levels down. Trying to supplement D in these people probably doesn’t do much and some people feel it might cause more harm than good (just like in cholesterol management where forcing the number to what we think actually often makes the problem worse). Confused? That’s about right when it comes to vitamin D. It’s a very fluid topic right now and the truth is far from being established. It’s going to take some time to tease out the details and intricacies of how vitamin D works so having patience is key. If you feel your vitamin D is low and could use a bump, I suggest testing it to see what it actually is. Keep in mind that heritage, latitude, the time of year and the status other fat soluble vitamins play a role in your levels and we are still far from good recommendations that take all those into account. Sunshine is probably your best bet but if you choose to supplement do so mildly and check your levels after a month or two to see if it’s being effective. 1. It is an important nutrient/substance but we only superficially understand its actual role in health. 2. Vitamin D status is more likely a reflection of health, not a cause of it. 3. Trying to increase health simply by raising vitamin D misses the point and may be counterproductive. Instead, try to increase health by improving the health of the organism, (helped by things like sun exposure) which has a side effect of allowing more vitamin D to be produced and used. 4. The sun is the best source of vitamin D, although sunshine has other benefits that far outweigh the D contribution. 5. There is much to be learned about D, have patience and continue to question simple cause and effect claims in the complicated human body.